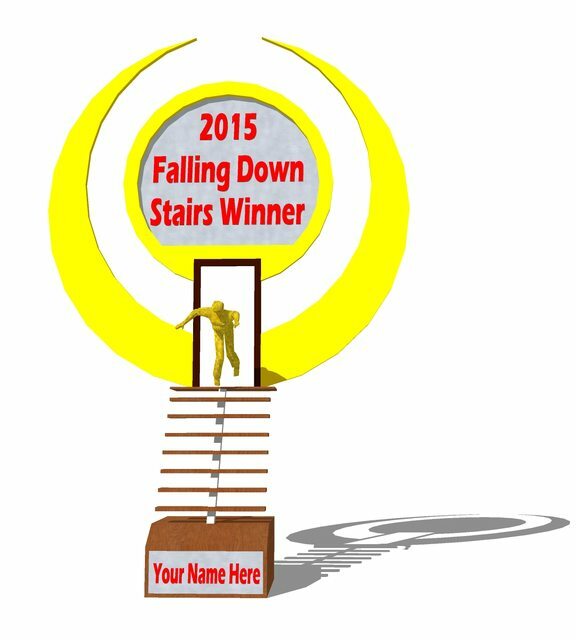 Ok, so on The Biz's Mysteries of TMU/TMO thread, it seemed like Johnny's idea of a Falling Down Stairs contest was a pretty popular one so I've set up this thread for anyone to submit links to any Falling Down Stairs movies they would like to enter. The entries can be any genre, can feature dialogue, plot, music, whatever floats your boat... the one and only rule of the contest is that all movies entered must involve somebody falling down a set of stairs. So let's see what we can come up with! in case I can't find 'em later . Sounds like a fun competition. So I have just spent the best part of 10 hours downloading and installing mods onto The Movies, ensuring they work, etc. Hoping I never have to do that again... but yeah, I'll soon be starting work on my Falling Down Stairs movie, as well as other stuff..
As far as a deadline goes.. I dunno, let's say maybe end of May? I wasn't really treating this as a proper competition, just a bit of fun to get everyone in the movie-making spirit. Hoping some other people get on board with it! This is by way of a thread bump to see if anyone is working on an entry for this comp? Yes. I am working on something, should hopefully be finished with it before long! 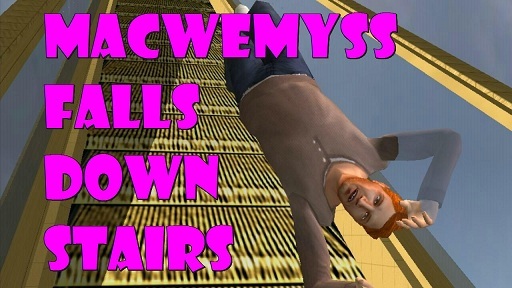 EDIT: My Falling Down Stairs Movie is very close to completion... watch this space. Edited by macwemyss, 25 May 2015 - 11:39 PM. Good question. When does this contest end? Would be nice to know. I've already said a few times that I'm not really treating this as a proper contest lol. It's more of a loose filmic collective event where people can just enter shorts as and when they want, hence why I made a movie myself. I just thought the Falling Down Stairs thing would work as a decent fun prompt to get people thinking about things they could make. So the answer to your question is there isn't a specific deadline, if you're planning on making a Falling Down Stairs movie then just go ahead and do it!